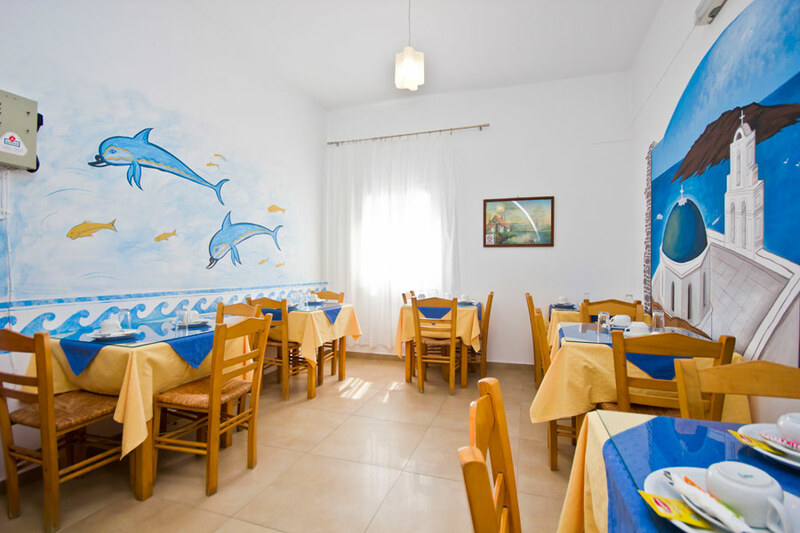 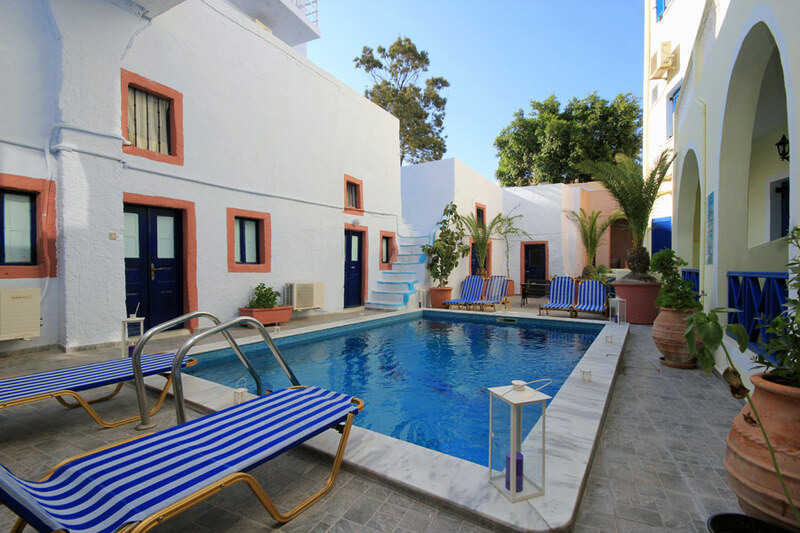 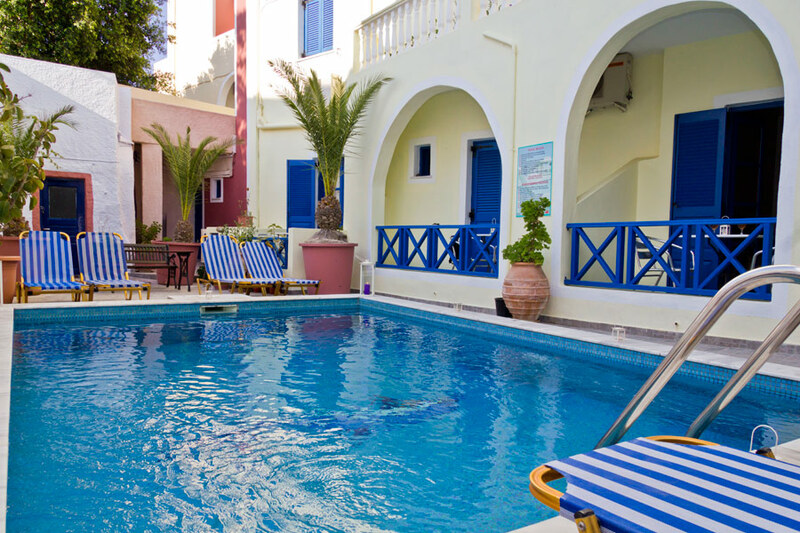 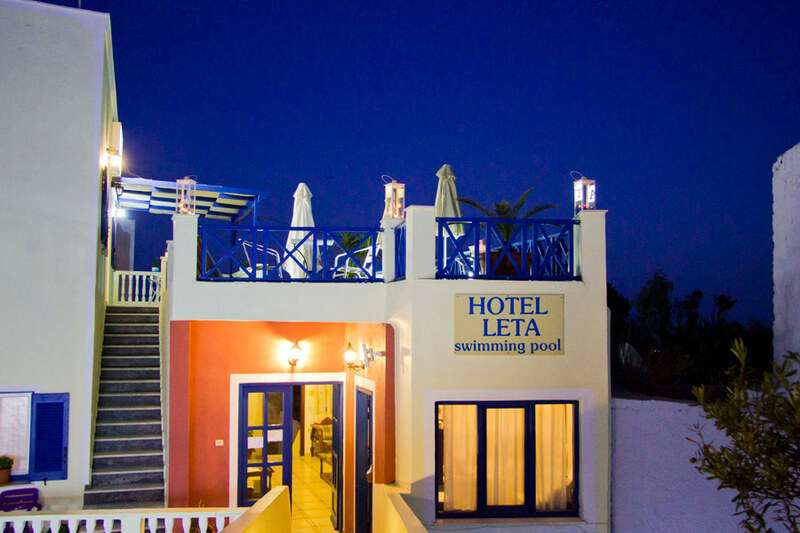 Situated in Fira town in Santorini, Hotel Leta offers friendly accommodation only 50 metres from the centre and a 100 metres from the Caldera and its famous Santorini sunset view. 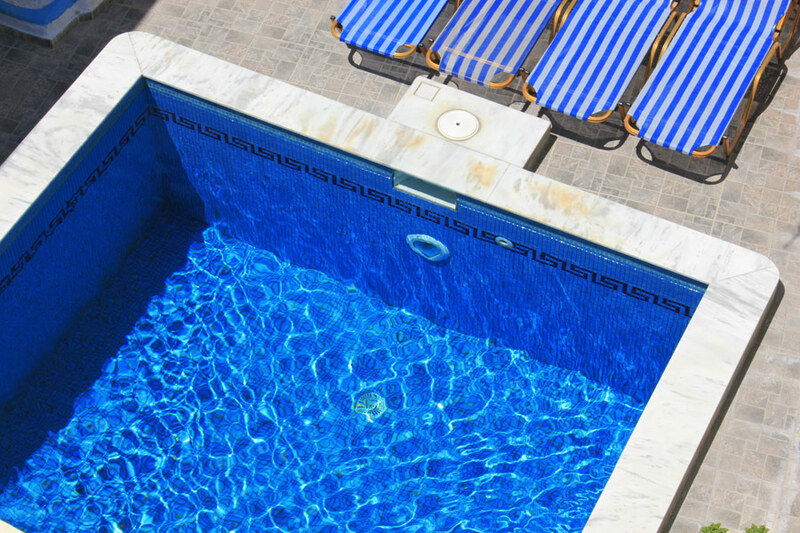 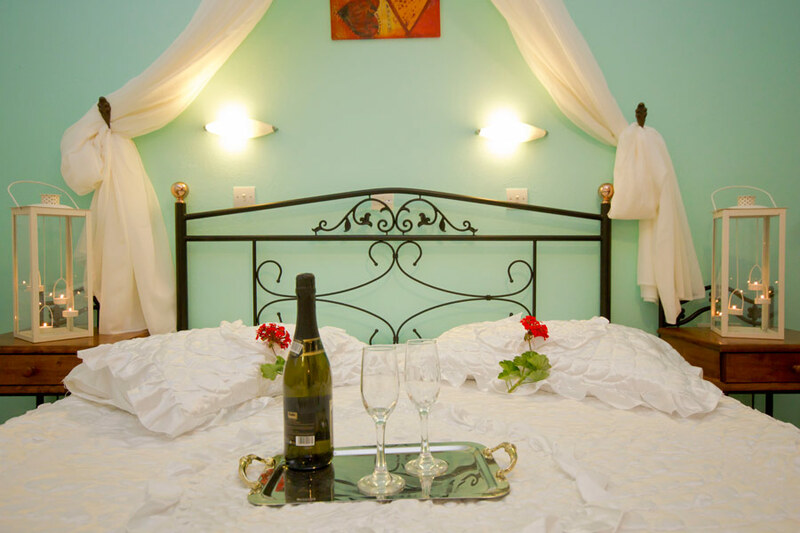 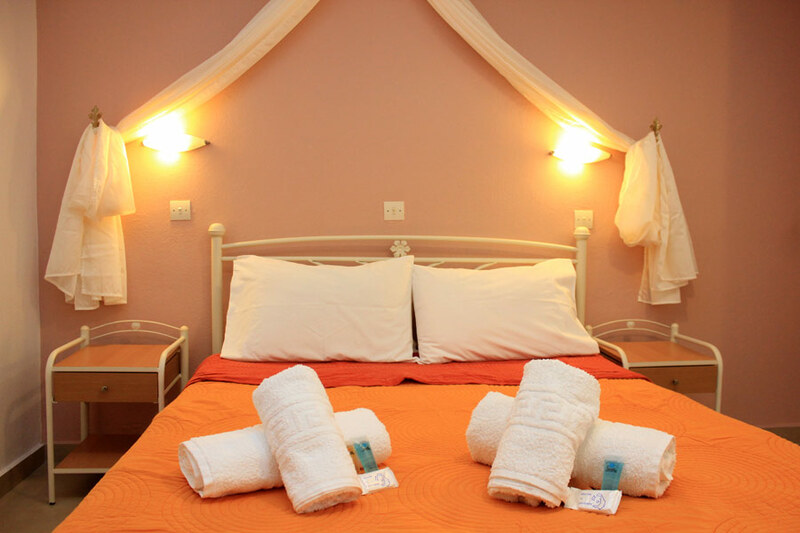 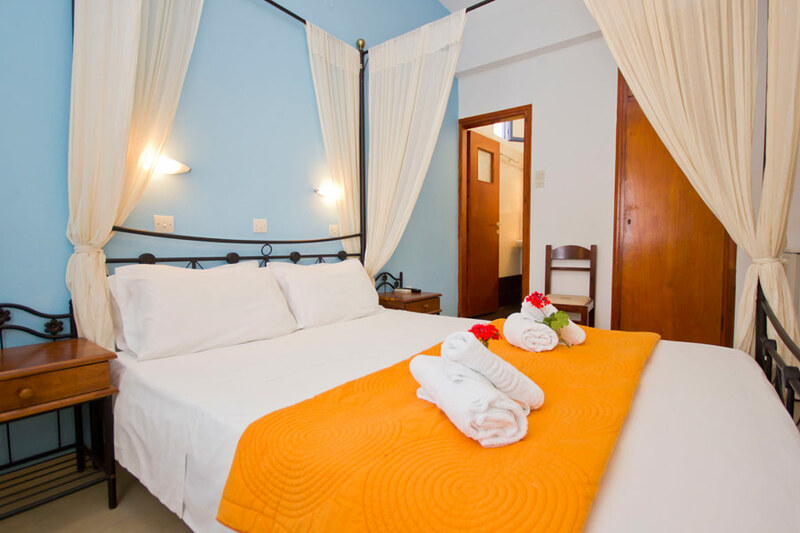 All rooms feature private bathroom, refrigerator, TV, air condition, balcony and access to the swimming pool. 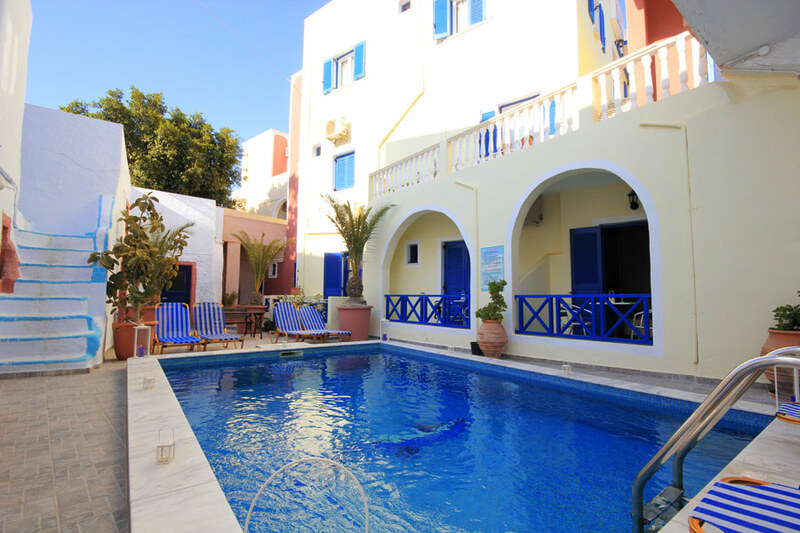 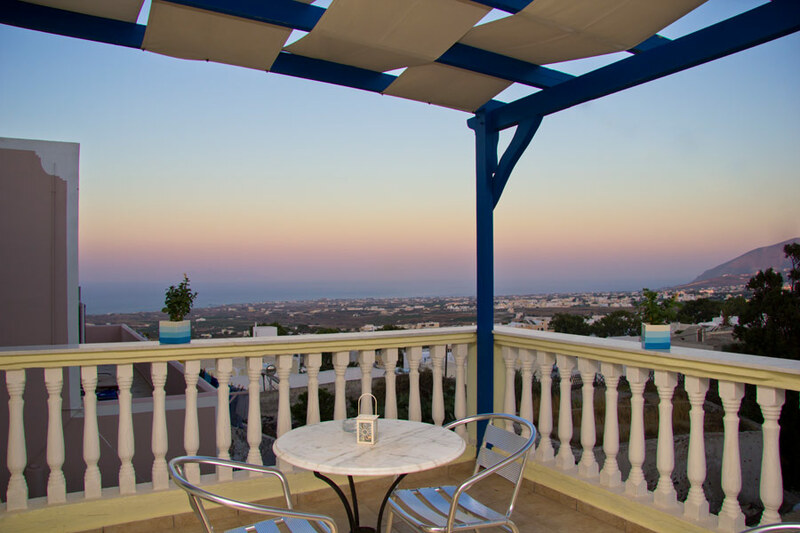 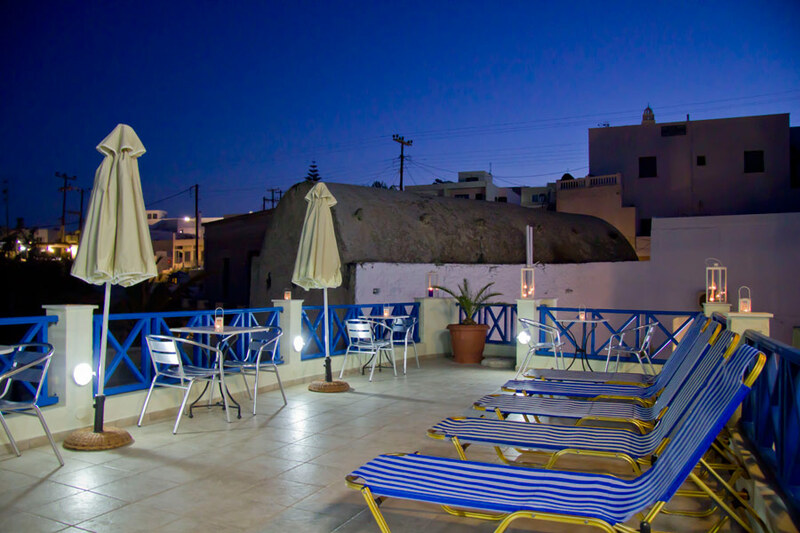 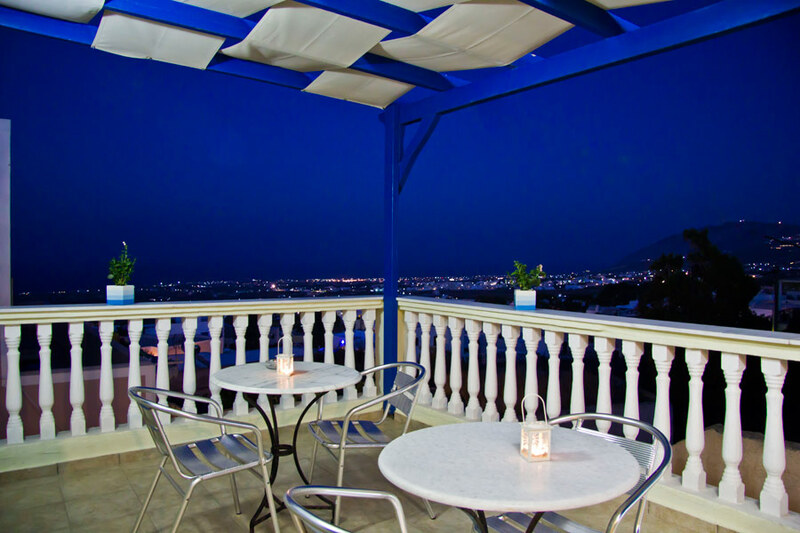 Hotel Leta provides guests free transfer to and from the port and the airport, and a terrace overlooking the east coast of the island and the deep blue Aegean Sea. 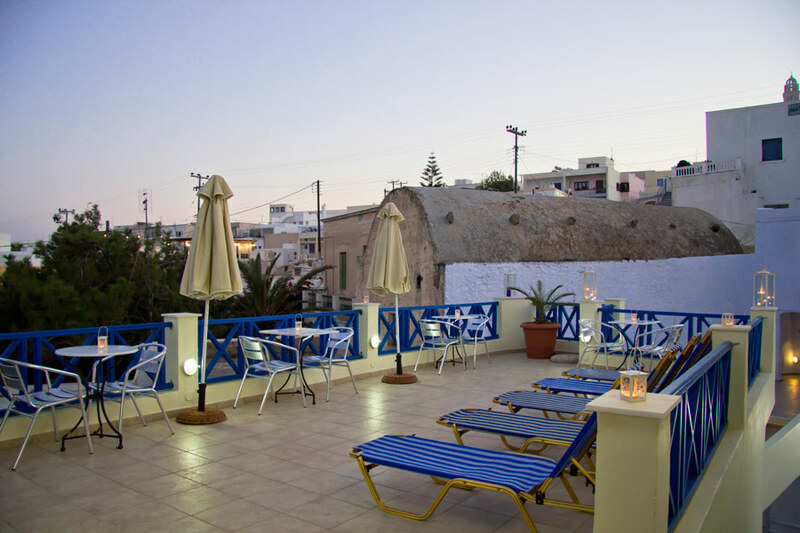 Fira Town, sitting on the cliff top above the edge of the volcano, with its white houses and old pebbled, winding streets, boasts magnificent views out to the sea. 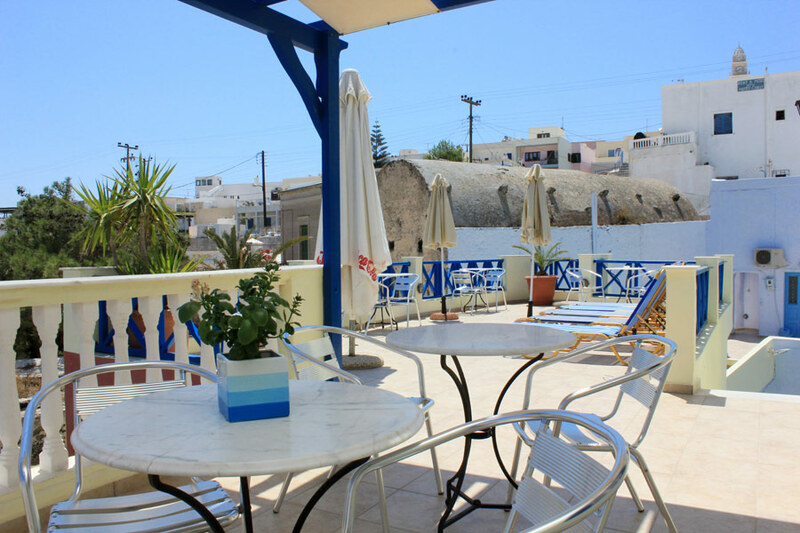 500 steps or the traditional donkey ride, leads to the city�s old port.